Yana Bibb is a Swedish-American vocalist and songwriter. Her music has a mix of soulful jazz and groovy blues with a touch of Swedish folk melody. 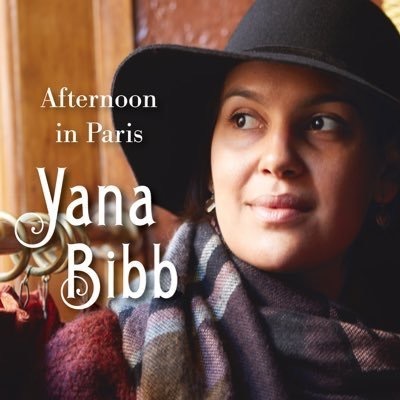 Yana’s interest in music was cultivated early by her father, Blues artist Eric Bibb, she also found inspiration in her grandfather, Folk singer Leon Bibb and her great uncle, pianist John Lewis of The Modern Jazz Quartet. Yana received her formal training in Jazz Vocal Performance at the City College of New york. Whether singing standards or her own delicate compositions, her musical instincts are right on target, her voice intimate and touching, filled with sincerity and simplicity and without affectation. She has performed with her trio at the Metropolitan Room, the Bitter End, Something Jazz Club and the Living Room in New York City. 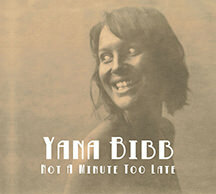 Yana has toured Germany, Austria, France, the UK and Switzerland promoting her first album “Not a Minute Too Late”. Yana released her second album “Afternoon in Paris” in April of 2016 and is currently touring Europe. “Heartzone” – A three track EP, released independently in 2007. “Not a Minute Too Late” – Debut Album released in Europe February 2014 by Dixiefrog Records. “Afternoon in Paris” – Released in Europe Spring 2016 by Dixiefrog Records.